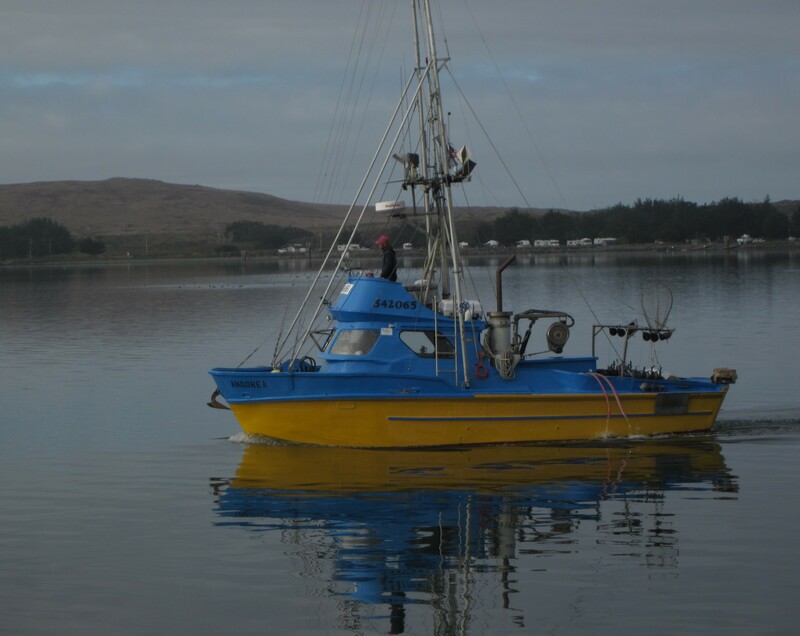 Restaurant scenes were filmed at Bodega Bay in and around the Tides Wharf and Restaurant. The memorable school house scenes were filmed in the small town of Bodega, about six miles away. This photo was taken from the Tides Wharf and Restaurant in 2012 by Husband. I found this pledge via the blog Russell Ray Photos and wanted to use it. 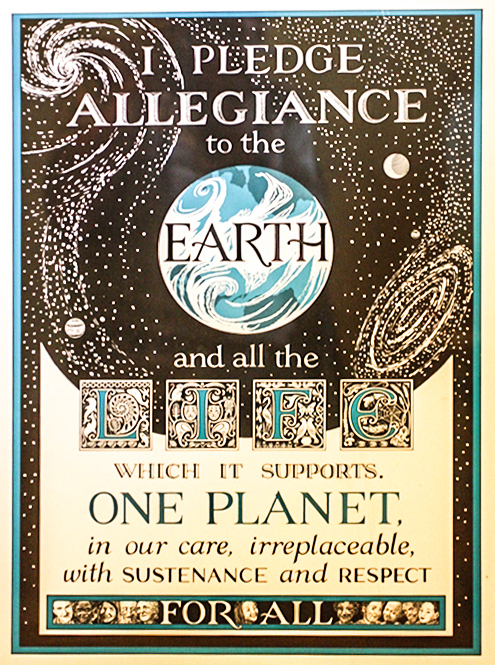 One of the comments was that it was an old hippie pledge, if so, it is still a good pledge today. My thanks to Russell for sharing it. He has a great blog showcasing his excellent photos that often feature Southern California and a cat named Zoey. Peace and love to all! One morning this spring Husband and I were having our morning coffee in the living room and watching the birds in the back yard. Two hummingbird feeders were up on the edge of the veranda cover to welcome the first of those visitors. A large flat feeder hangs from a tree and small one on the fence stay up all year-long that provide seeds for the usual birds – many doves and an occasional pigeon. Recently we had seen colorful spring visitors – a pair of cardinals, a painted bunting. Squirrels stop by also to check their feeder in a tree for peanuts and sunflower seeds. Normally our thirteen year-old cat, Wiccan, just naps in a chair outside after her morning meal or attempts to hide beside some ornamental grass near the bird bath in the hope of catching a feathered creature. She has slowed down with age, but I still occasionally find a pile of bird feathers as evidence of her success. However, I do try to protect them from her when I can. As I sat there enjoying a second cup of coffee and the bit of nature in the back yard, a black streak raced across the veranda. Wiccan was after a bird. Husband jumped up and rushed out the back door. I followed quickly and held the door open as I watched him come back to the door with a small brownish bird in his hands. Perhaps it was hurt. 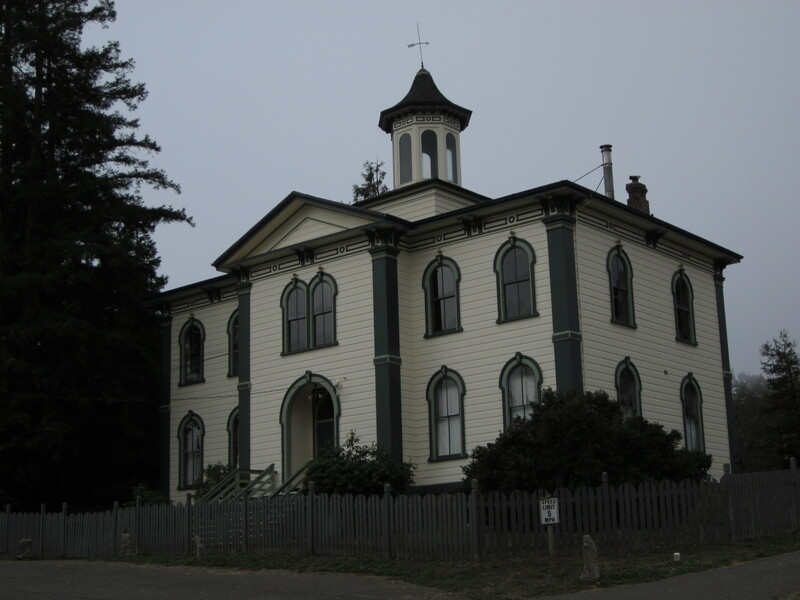 THIS BUILDING IN BODEGA, CALIFORNIA WAS USED AS THE SCHOOL HOUSE WHERE THE CHILDREN WERE ATTACKED BY THE BIRDS. HUSBAND TOOK THIS PHOTO WHEN WE VISITED THE AREA IN 2012. The bird slipped swiftly out of his hands and seemed to be flying straight toward me. I raised my arms up in natural defense as Tippi Hedren did so many times in Alfred Hitchcock’s 1963 thriller,”The Birds.” This frightened bird veered off to the freedom outside while I lost my balance (one foot inside and one foot outside) and twisted to the left. I fell inside the house as I crashed into my favorite ornate floor lamp. My left ear hit it first…then my left arm…then my left hip…final stop…stunned on the floor. Blood dripped from my ear. All I needed was that green suit like the one Tippi wore! My first thought as I sat there on the tile floor was concern for my lamp. Was the glass shade broken? One glance upward confirmed that it was not harmed. Startled Husband came to help me up. After I wiped the blood from my swollen and red ear, I needed another cup of strong coffee. (Didn’t Tippi get something stronger? Brandy, perhaps?) I had no broken bones – only a few bruises the next day. So be careful when you are bird watching. It can be dangerous! 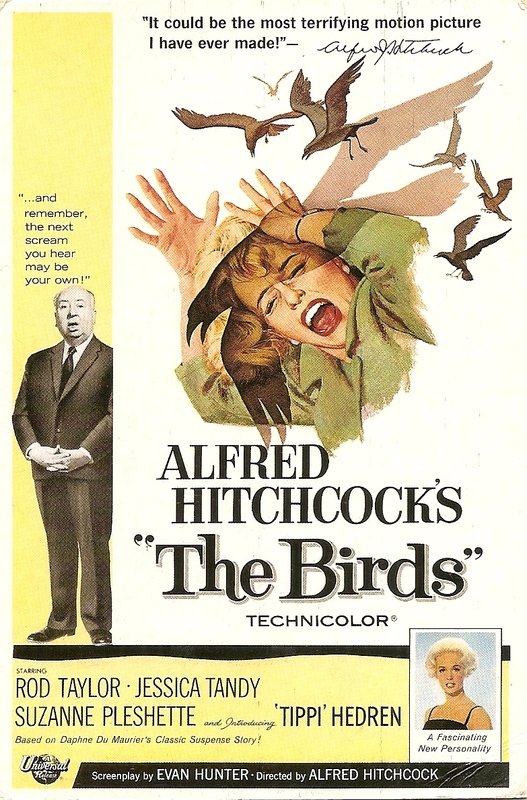 The 50th anniversary of “The Birds” is this year. I may have to watch it again with new appreciation! Perhaps because I live on the coast I enjoy visiting lighthouses. 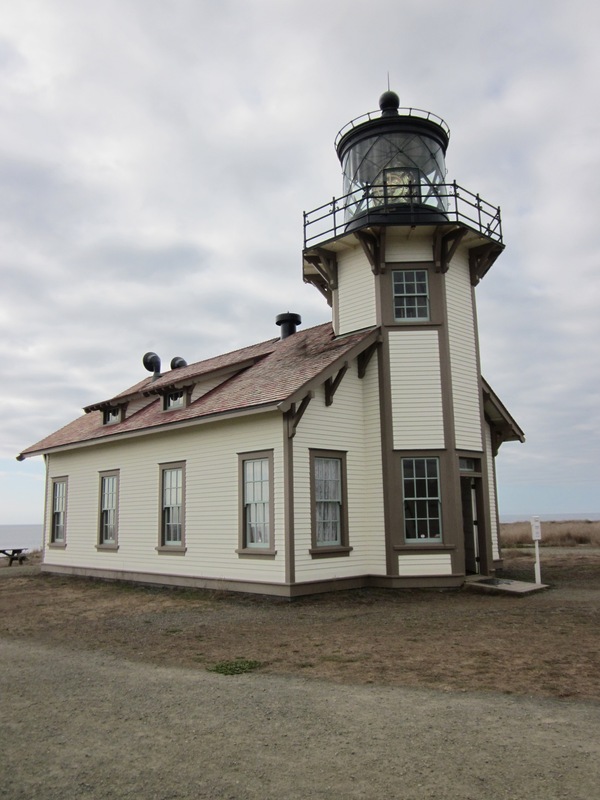 On a trip to northern California last fall we visited Point Cabrillo Light Station near Fort Bragg. Today it is a state park. 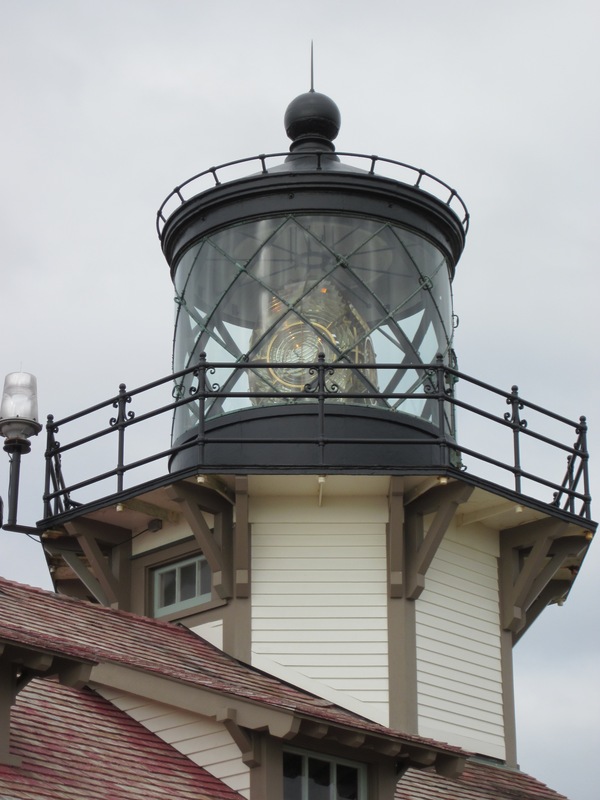 The grounds contain a restored lighthouse keeper’s home and several guest houses set back a bit from the lighthouse itself. Nature trails allow visitors to experience the natural beauty of the rugged Pacific coastline in safety. Our visit was at late afternoon. Near the lighthouse keeper’s home a large white tent was set up in preparation for a wedding. The tent had a wooden floor and tables laden with white flowers. In front a bar had been set up so that guests could take a drink with them as they strolled down to where the ceremony was to be held near the edge of the bluff . White chairs were lined up for the guests. A cello and violin duo would provide the music. The setting sun would make a dramatic background for the nuptials. This was a wedding California-style. As we were walking away from our tour of the lighthouse, a couple from the wedding party approached us. The man asked Husband if he would take a photo of them. As Husband took the camera the couple moved closer together and tilted their wine glasses in classic style. The late sun and old lighthouse made a unique backdrop for this striking couple. He was tall, trim and dark in his black pin-striped double-vested suit and cowboy boots. Her long blonde hair fell just right as did her short draped skirt that was accented casually with a wide silver belt; cowboy boots completed the polished western look. 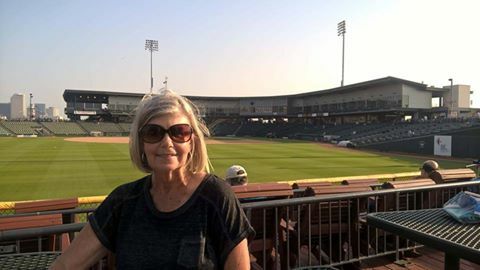 Think J. R. and Sue Ellen Ewing. They might be from Texas, I thought. “New York,” he replied with a smile as they walked away with the California sun highlighting their wine. On a recent trip to the west coast Husband and I left San Francisco, crossed the Golden Gate Bridge and took scenic Highway 1 up the coast. 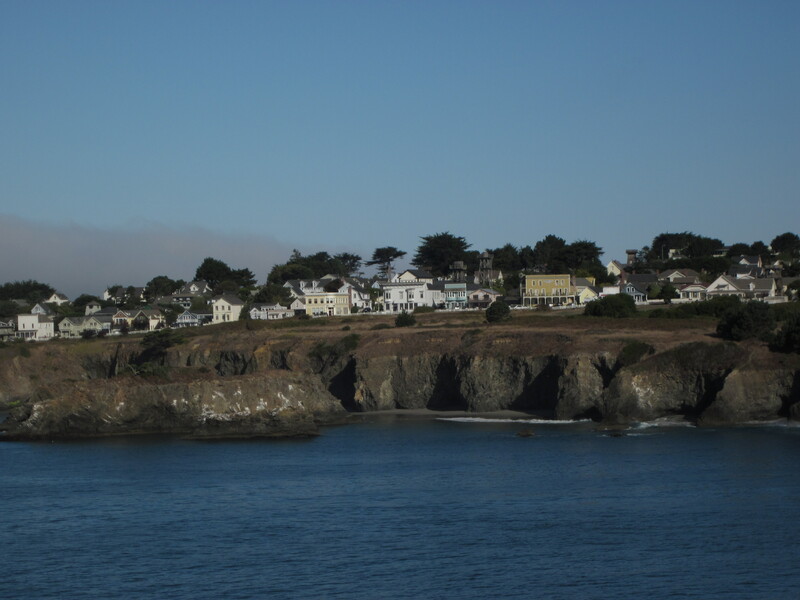 We spent the weekend in quiet Mendocino, a small town on the beautiful Northern California Coast. 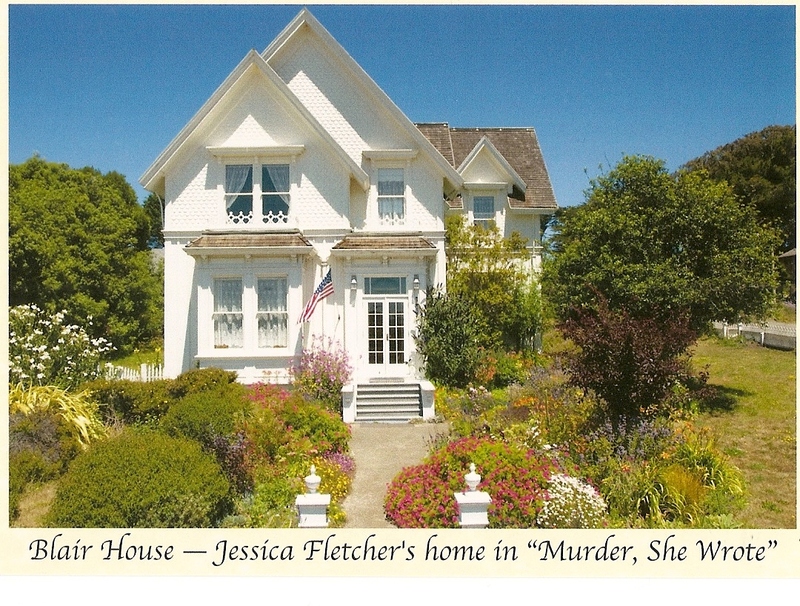 Quaint Mendocino boasts thirteen bed and breakfasts, but we choose Blair House, Jessica Fletcher’s home in the television show Murder, She Wrote that ran on CBS from 1984 to 1996. Angela Lansbury played Jessica Fletcher. I was a bit disappointed when we arrived as the front entrance was obscured with scaffolding as the front of the house was in the process of being repainted and repaired. Fortunately the workers were gone for the weekend. The white picket fence was also in the process of being repaired and eventually re-painted. We were told by Norm, the sole caretaker, to enter from the side gate and go in through the kitchen. Somehow it seemed appropriate to enter through Jessica’s side door directly into her kitchen where her neighbors and friends had dropped by for dinner, advice or a cup of coffee. A bicycle was parked near the back door. 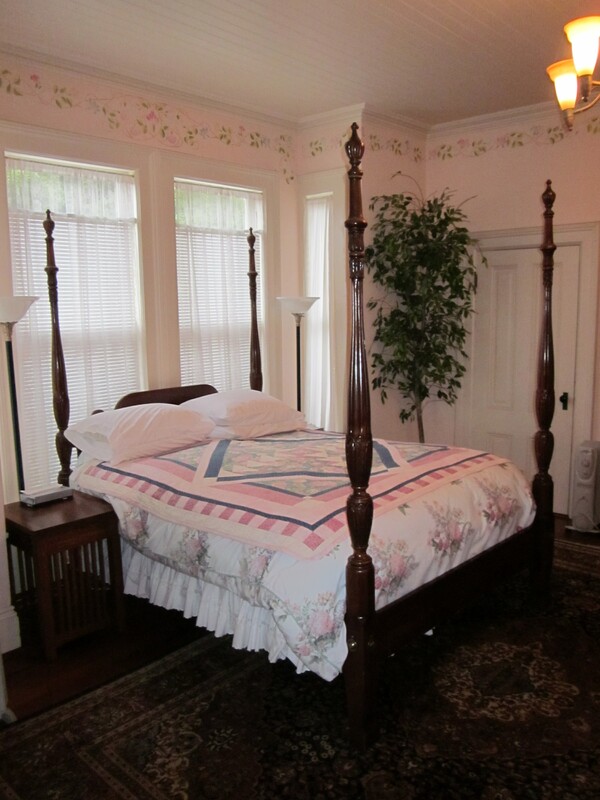 We choose to stay in Angela’s Suite on the first floor that featured a cozy but spacious bedroom with fireplace, a generous parlor with a second fireplace and a private bath with a luxurious claw foot bathtub. Norm provided us with a complimentary bottle of wine from a local winery, Hirsch Vineyards, when he gave us the key to Angela’s Suite. Breakfast is served from 8:30 until 9:30. Norm provided a hearty and healthy breakfast served family style in the dining room and consisted of granola and cereals, English muffins, bagels, fresh fruit, jams and cream cheese, milk, tea, orange juice, and plenty of good fresh coffee. The first morning we shared breakfast with two young couples from London who were on their way to San Francisco for a week. The last night we had an early dinner at Mendocino Cafe, Norm’s recommendation for us, and was an excellent choice. It was casually intimate with indoor and outdoor seating. We enjoyed quiet dinner music provided by a talented guitarist. After dinner we walked along the streets and window-shopped at mostly closed stores as the sun was setting in the west. 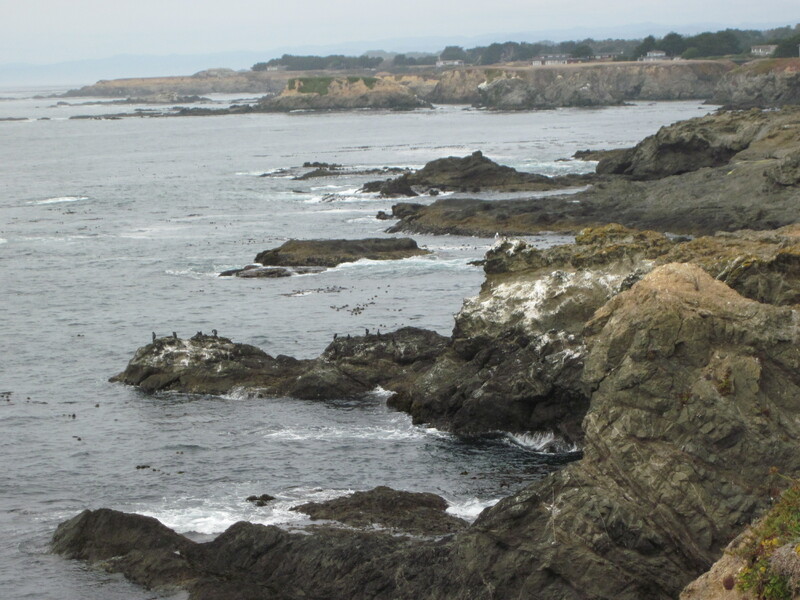 Mendocino is a lovely place to visit and much different from my coast in Texas.